T3 Agenda: Range Rover Sport gets a new hybrid powertrain. Ride smart with the intelligent Gazelle Avenue eBike. And more! 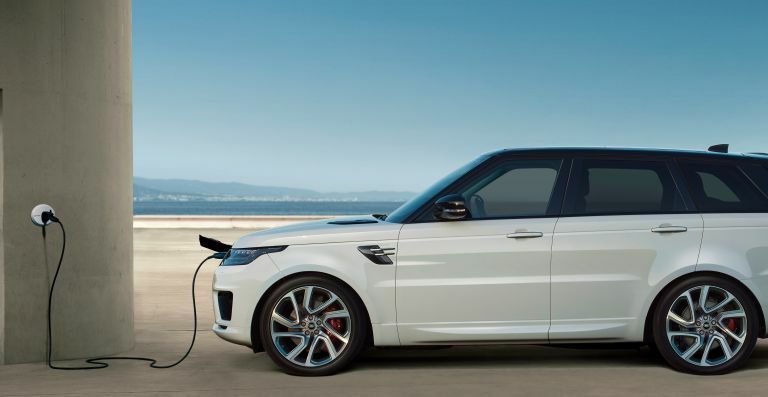 The Range Rover Sport range is getting a new plug-in hybrid powertrain, which will combine a 300hp (221kW) 2.0-litre four-cylinder Ingenium petrol engine with an 85kW electric motor. With this update, the Land Rover Sport will go from 0-60mph in only 6.3 seconds and hit a maximum speed of 137mph. It'll even produce an impressive 640Nm of combined torque. Jaguar Land Rover also confirmed that from 2020 all new Jaguar and Land Rover vehicles will have the option of electrification marking the next step on the Great British company’s electrification journey. The 2018 Range Rover Sport UK range starts from £61,315. Dutch bike maker Gazelle has launched its latest stylish eBike design, the Avenue, a secure and stable model equipped with Shimano STEPS intelligent drivetrain that is perfect for the urban commuter. That all important 250 watt Shimano STEPS drivetrain is the real selling point here, offering up an average range of 50 miles and a max distance that can approach almost 80 miles. Its lightweight aluminum frame has a great low-step design and can be yours for a limited edition price of $2,899 (£2,184). Mattress maker Eight Sleep has given its flagship mattress, the Jupiter, a brand new 2017 update with the Jupiter+. The new model tracks over 15 factors about your sleep and health, including deep sleep, heart rate and respiratory rate. You can warm your bed by controlling its temperature direct from your smartphone or tablet. You can adjust heat to improve cold winter nights or blast the bedroom AC while warming your partner's side. The Eight Sleep Jupiter+ is available now and ranges in price from $999.99 (£752) to $1,249 (£941). Hearing implant specialist Cochlear has teamed up with Apple to create the Nucleus 7 Sound Processor. It's been designed to help people living with severe to profound hearing loss reach much higher levels of hearing performance by using direct streaming from Apple devices to the sound processor. This opens the door for people with hearing loss to make phone calls, listen to music in high-quality, watch Netflix and make FaceTime calls – all directly to their cochlear implant. The implant is 25% smaller than the previous generation, and works with the Nucleus Smart app for even more control.